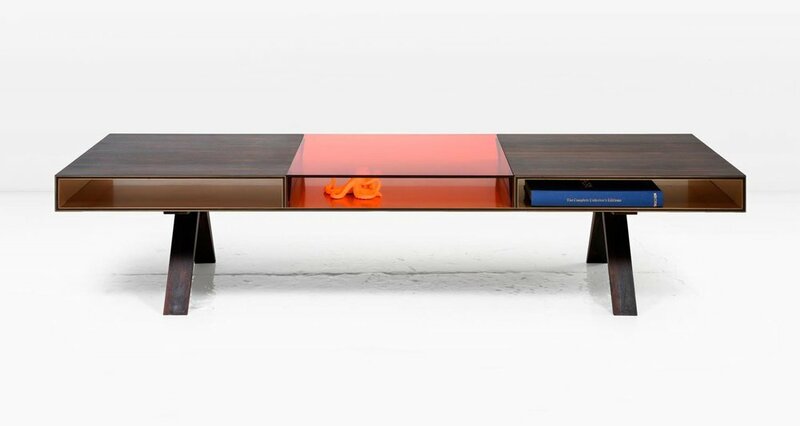 This coffee table features integrated storage lined with Bronze and set off by jewel toned glass. Shown in South American Ziricote veneer and Dark Amber glass. Last 5 images shown in quartered South American Rosewood and Medium Bronze glass (last 2 images in Dark Amber glass). Available in other veneers and glass colors.